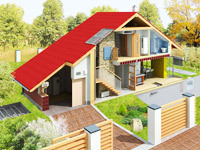 Have you just bought a new house and want to plan your new garden? Or are you just thinking of redesigning your existing garden or allotment? Producing a good garden plan is an art in itself, but with the help of these garden planners and the right garden furniture, your garden can soon become an pleasant and relaxing area for you and your family to enjoy. Here you will find an overview of the garden planners available on the internet. You can choose an online planner or one that you download to your own computer, but to help make sure you don't lose track of which planner you're using for your garden, we have listed a selection of the best planners here. With their help you can design everything from the plants and trees you want, to the position of paths, patios and even a garden pond. Some planners produce 3D views, others will send a PDF file to you in an email; choose your preferred methods and outputs from the list given. These garden designer tools help you produce a plan for your garden quickly and easily, with the output in the form of a 'flat' two-dimensional design. 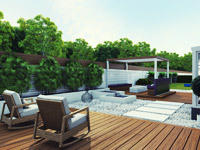 With the right 3D garden planner your designs will spring to realistic life on the screen so that you can visualise what the results will look like easily. These free downloadable garden planners are installed to your own PC so that you don't have to be online to work on the plans. Choosing the right software for your needs is important – get it right and your new garden will come to life before your eyes quickly and easily, letting you choose from a wide range of options, design possibilities and accessories for everything from your plants to your patio. 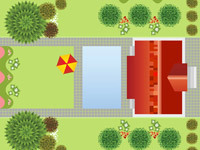 Have you come across a good free online garden planner that isn't on our list? Or perhaps you've made one available on the internet? Tell us about it on the form below, including a link, so that we can include it in our collection! Garden planner0 out of 51 based on 0 voters.